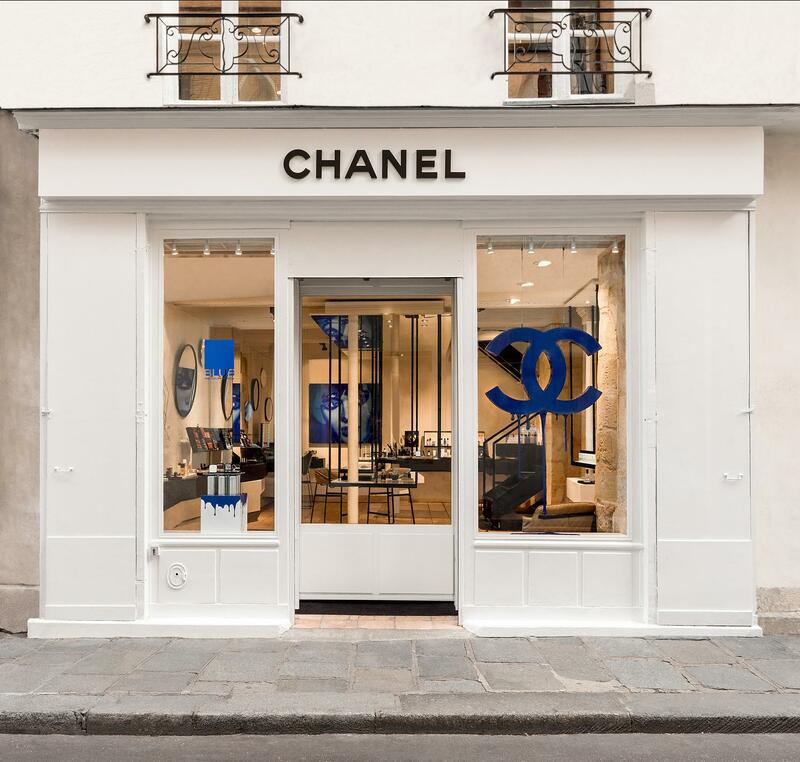 Chanel has recently opened its first permanent beauty boutique in the Marais district in Paris. two years ago- which is to close down in the end of this year, the French luxury house goes further to establish its permanent beauty store inside the Hôtel Herouet building at 40 Rue des Francs-Bourgeois. According to the house, the new location is faithful to the spirit of Chanel’s founder Gabrielle Chanel, who loved to appear where she was least expected. The shop has maintained many of its original design elements, there is an industrial and at the same time artsy feeling about it, the space is infused with natural light, from street-side windows & a skylight, appointed with elements easily identifiable with Chanel. Quilted leather chairs, various sized round mirrors, black metal supporting structures feature around the shop where visitors will encounter make up stations, get make up tips from Chanel’s make up artists, discover limited edition products, get acquainted with Chanel’s iconic perfumes like Chanel 5 or the Coco Mademoiselle Exclusive collection – all these within the magic fragrance World of Chanel and its perfume experts. There is a section dedicated to men’s beauty as well as beautiful Chanel coffee table books scattered here and there on sale or simply for customers to browse.